Devereux Appraisal Co., LLC was founded in 1975 by D.R. Smith, SRA. 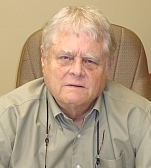 D.R has been been in the appraisal business for 36 years, was on the VA panel for 20 years, and is currently certified as a SRA with the Appraisal Institute. 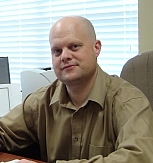 Justin D. Smith, started working in the appraisal industry in 1994 while finish his college coursework. Justin was an apprentice for Devereux Appraisal Co, LLC for 6 years and was made partner of firm in 2000. Justin has since moderized the firm, keeping it up with present day technology and data collection while running the firm. He is the primary appraiser on staff, and has been recently awarded the prestigious SRA designation with the Appraisal Institute. Click on individual staff profiles to the right for info about each staff member.